The Borgata Hotel Casino & Spa has had its fair share of controversy this year. It started with a major tournament having to be cancelled due to the use of counterfeit poker chips, the cancellation of the tournament and then a lawsuit from the players who were part of the cancelled tournament. The Borgata is once again in the news as it files a lawsuit against one of the most popular poker players in the history of the game Phillip Ivey Jr. The lawsuit goes back to 2012, when the Ivey won a huge pile playing Baccarat that amounted to over $9.6 million. The casino has confirmed that after investigation it believes that Ivey and his Chinese partner, Cheng Yin Sun skillfully manipulated a flaw in the line of cards that the casino used so that his probability of winning multiple sessions of Baccarat increased dramatically. The lawsuit claims that Ivey took advantage of an “edge sorting”, a technique that players use to memorize cards and then identify them later based on the unique marks that are visible on the back of the card. The lawsuit also targets Gemaco, Inc the company that manufactured the cards at the casino because they failed to provide the casino with a deck of cards that was completely symmetrical to each other. The casino confirms that Ivey played four sessions of Baccarat and manipulated all four of them by asking for a private area, a dealer that spoke Mandarin and relied on an automatic shuffler. The four sessions of Baccarat took place over a period of 6 months during 2012. The first session took place in April when Ivey and Sun won $2.4 million, the next one in May where they won $1.6 million, then again in July for $4.8 million and the final one in October where they won $825,000. The lawsuit also makes note of the fact that this is not the first time that Phil Ivey is being accused of being a cheat and using edge sorting to his advantage. During the same year, the Crockfords Casino in London accused Ivey of cheating in a game of Punto Banco which is similar to Baccarat. Phil Ivey is one of the most popular and recognized players on the poker circuit and has won 7 WSOP bracelets. 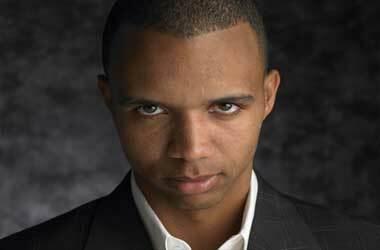 Both Phil Ivey and Gemaco, Inc refused to comment on the lawsuit against them.